The car lurched, skidded, banged, leaped, but did not roll over. A huge limb loomed, and I thought “decapitation.” But the car slipped under and I heard the heavy branch and leaves brush roughly over the top. Another lurch into black abyss and light showed a great tree coming head on, but a slip to the left which smashed both doors on the driver’s side veered the car slightly to the right to miss the tree and wedge me between the trunk and a large rock. I could hear glass crashing, but it blew out, not in. Just a few very small flying splinters struck my face, to make me aware of my good fortune, I guess, at no disfigurement. A sudden stop, motor still running, full tank of gas under the right side of hood and no explosion. The dash clock said one or two minutes after midnight. I could not see any escape, in any direction; no mark where I come down the embankment, or how I could get out; no clue to where the road was which I had left so abruptly. The car was tipped uncomfortably to the left but slowly I reached for my personal things that had been thrown violently around the car, including my slippers which had apparently detached. I could not see or hear any signs of civilisation near me. There had been no other car on Mountain Drive when I went over the edge. I expected, then, to stay there until daylight. The clock showed almost 12:20, when suddenly a powerful light beamed down from about 45° above me. I moved carefully to the right door, rolled down the window and called for help. I could hear male voices behind that big searchlight and when they had determined that I was alive and uninjured, they identified as police officers and told me the Fire Rescue Team was on the way. I watched the first man come down on a security chain, then three others followed. It took half an hour with a winch and four firemen to bring me up on a safety litter and when they stood me on my feet on the road, no one, including myself, could believe I was intact. Baba, with all my heart I am grateful, and I thank you. I solemnly pray that for whatever reason you chose to save me, I will cooperate 100%. Suddenly the electricity was restored, Bulbs came back to life. Athul looked around. Surprisingly, all the 1400 boys assembled there were keeping their hands behind them. Everyone was having a laddoo in his hand. That is Swami! We get astonished at the amazing leelas. Our reasoning power abandons us, tongue fails us, mind refuses to function; nothing can be understood. How can we comment upon, much less explain, such displays of Swami’s divine sport? At Prasanthi Nilayam in 1967 I met Mr. Russi C. Patel, a Parsi of Bombay, and his wife. From them I learned the story of their little daughter, Ketu. At the age of 2½ years Ketu could not speak, walk or even stand. She had been given various kinds of medical treatment, including modern drugs and physiotherapy. But nothing seemed to have any effect. The source of the trouble was a mystery. Some thought it was a matter of mental retardation, others said that it was some unknown deep-seated nerve trouble. This was the state of affairs in February 1965 when Mr. Patel decided to go to Puttaparti and see Bhagawan Sri Sathya Sai Baba. His wife, who was a very orthodox Parsi, was not in favour of the idea, thinking it a waste of time and money. Shivaratri festival was on when Mr. Patel arrived at the ashram and huge crowds were there. Although people urged him to seek an interview, he was diffident about doing so – especially as he felt that Baba knew all about his trouble and why he had come, without being told. 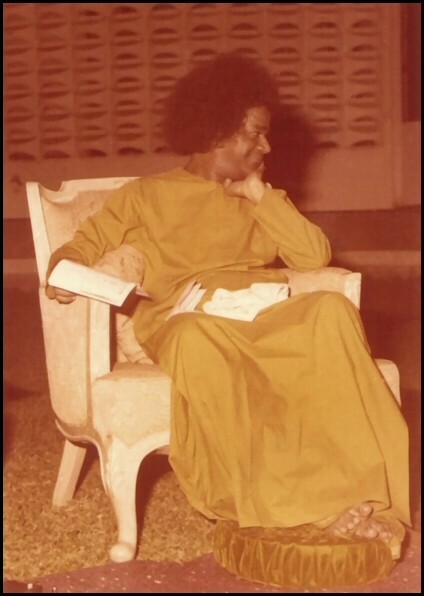 Several times he wrote a note, intending to hand it to Baba as the latter passed through the crowd near him, but each time, when he saw the little figure with the luminous face, full of the light of understanding, he decided that it was not necessary and tore the letter up. “When Baba wants me, He will call me,” Patel said to his friends. But the days passed and he was not called. Streams of people were going in to see the great saint, but not Patel. Then one morning, some days after the Lingodbhavam, it was announced that there would be no more personal interviews. However, Sathya Sai Baba came onto the balcony and gave His blessings to all visiting devotees assembled there before they went home. Mr. Patel felt the great compassion pour onto the crowd and into his own heart. Yet, in the train on the homeward journey his faith and spirits sank to a low level. He thought of the days he had spent there and the chances of speaking to Baba he had missed. He thought of his poor little daughter still unable to stand or utter a word. He imagined his wife’s reproaches about the time and money he had wasted. He arrived at the door of his home very depressed indeed. He picked her up and embraced her; then he embraced his wife, while both of them wept with joy over the miracle that had somehow taken place. 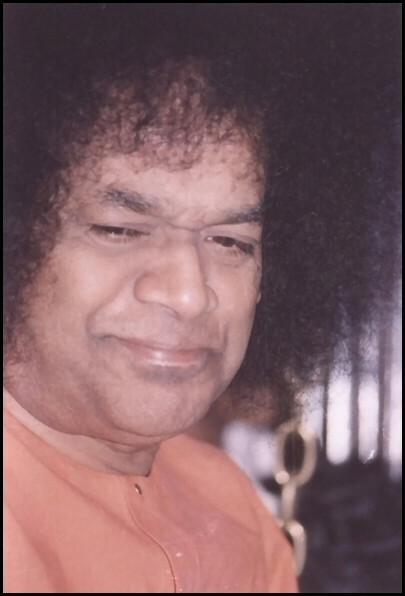 On checking the facts with his wife Mr. Patel found that Ketu had first begun to walk and speak on the day before he arrived home – just after Sai Baba had given his blessings from the balcony to the assembled devotees. Some time afterwards Mr. Patel took his wife and daughter to see Baba when the latter was on a visit to Bombay (now Mumbai). 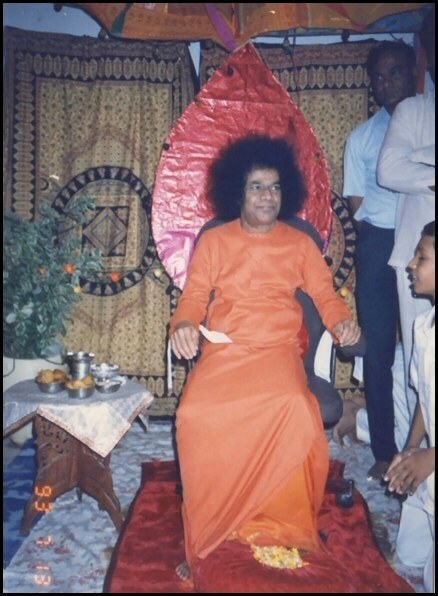 In the midst of the many thousands that crowd around him in that metropolis, Sai Baba saw them, and in the words of Mr. Patel, “greeted the little girl as if she was an old friend returned after a long absence”. He took her on His lap; materialised some Vibhuti, and put it in her mouth. Soon after that, her speech improved greatly and she began using longer words. Reference: “Sai Baba: Man of Miracles” by Mr. Howard Murphet. Page: 121-122 (Paperback edition). Published by Macmillan India Ltd, 1972. This is the story of how Bhagawan Sri Sathya Sai Baba restored the eyesight of Dr. Ravi Kumar, twice! Dr. Ravi Kumar is currently a Lecturer in the Department of Chemistry in the Brindavan Campus of Sri Sathya Sai Institute of Higher Learning. He came to Swami decades ago as a young boy and ever since then has been with Swami, first as a student and now as a teacher in Bhagawan’s College. 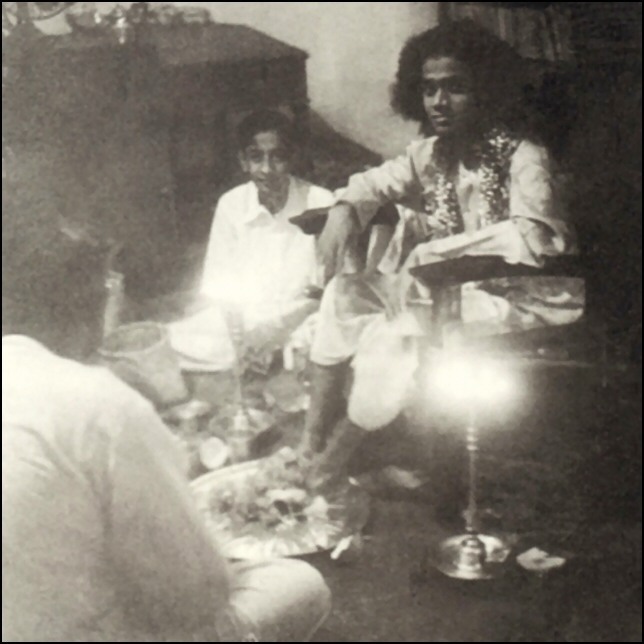 His entire family is greatly devoted to Bhagavan, and all of them have had many thrilling experiences. I was trying to detect steroids on a thin layer plate. For this, it was necessary to prepare a special reagent by mixing acetic anhydride and concentrated sulphuric acid. Even as I was busy doing this, there was a sudden explosion and the next thing I knew was that the chemical I was preparing had splashed into both my eyes. I shouted ‘Sai Ram’. Hearing my cry, a few students were still in the neighbourhood, came running towards me. They anxiously asked, “What happened?” I just cried out, “Take me to the nearest tap please!” My eyes were just burning and the pain was terrible. There was no water in any of the taps in the lab. (Later I learnt that the water line had been closed for doing some plumbing work for the library building that was just then coming up) By the time my friends found a tap with water flowing, the acid mixture must have burnt my eyes for nearly two minutes. My eyes were washed continuously; meanwhile I discovered that I could not see anything. And then suddenly I heard Swami’s enchanting voice. He was saying, “Take this Vibhuti Prasadam for three days, and everything will be alright.” With these words, He placed three packets of Vibhuti in my hand. The world was absolutely dark. I was looking forward to the end of the third day. I had the last dose of Vibhuti even as the night prayer was being said in the Hostel. I still could not see. I could not control my tears as I recalled all my hopes and aspirations. 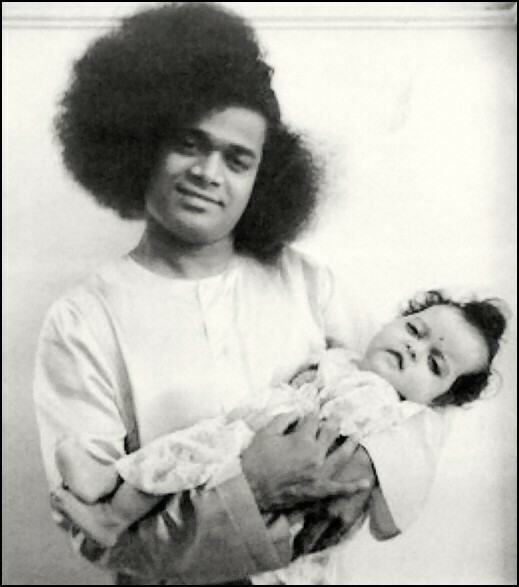 I was just four and a half years old when I lost my mother, and since then, I was literally brought up by Swami. I had been eagerly looking forward to serving Swami after completing my studies but here I was, blind and dependent on someone else. Was this to be my fate for the rest of my life? I got myself a pair of spectacles, and took great care to wear them as commanded. Four years passed. I was in the lab and engaged in an important experiment. Suddenly, my spectacles slipped, fell down and broke. I could not afford to stop my experiment; if I did, it would mean that the work of the past two months would all go waste. So I decided to continue with my experiment, telling myself that I would be very careful. I prepared some hot chromic acid, poured it into a sintered funnel, and, to finish the work quickly, connected the system to a vacuum aspirator – it was a brand new machine that had just arrived from Japan. Nothing happened for a while, so it seemed. I went near the apparatus to have a close look, and just then the flask imploded, tipping about 30 cc of hot chromic acid into my eye. There it was, the second time! I shouted ‘Sai Ram’. The acid streamed down my face on to my shirt, eating it up. I was assisted to a nearby tap (this time, the tap was mercifully not dry! ), and water was continuously splashed on my eyes and face. Even after 45 minutes of washing, the burning sensation was just unbearable. I ate the Vibhuti with much relief and joy. What an assurance it was to hear from the Divine Himself that everything would be all right! The following day, I went to the doctor to have the dressing changed. She removed the bandage, examined me and exclaimed with wonder, “Sai Ram! What a miracle!! Your eyes are perfectly OK!” Yes, everything was fine exactly as Bhagavan had said the previous day, and I could see clearly once more. Reference: “Love All Serve All” published by Sathya Sai Publications of New Zealand. Page: 302-304. As soon as Swami Amrithananda reached Prasanthi Nilayam, Baba accosted him, “Amritham,” and, he was genuinely astonished at the familiarity and even the affection with which that call was saturated, for, he said, “Only Ramana Maharshi with whom I spent 17 years used to accost me thus and the voice and manner were exactly the voice and manner of the Maharshi!” This is a miracle, indeed. 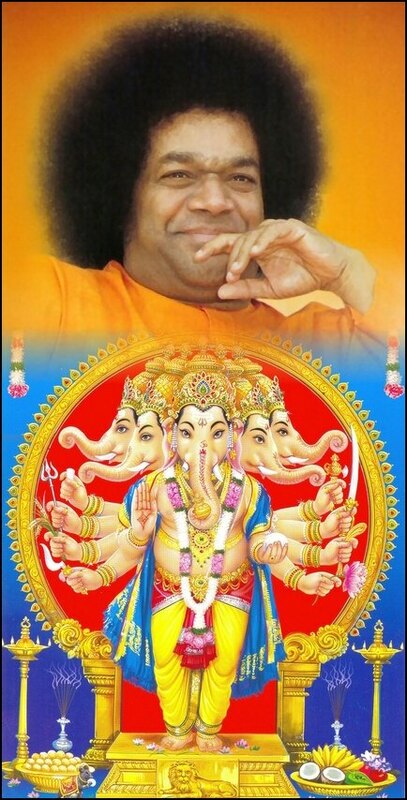 Later, Baba asked the 85-year-old Swami, about a Ganapathi Homam (ritual worship of Lord Ganesha) that he had performed for 41 days in as a seven year old boy! He told the swami all the details of that Homam, including the long involved Manthra with which the offerings were placed each time in the fire. Baba told him that he had repeated this Manthra a thousand times a day, for forty-one days and made as many coconut offerings in the Fire of the sacred Homa. “What is the reward promised in the Sastras?” Baba then asked the old ascetic. He answered that the Sastras declare that if the Homa is done with scrupulous regard for ritual, Ganapathi Himself will appear in the Homakunda as the golden-coloured effulgent elephant-headed God and with His trunk He will receive the final and concluding offerings and He will grant everlasting Bliss by means of the Darshan. Then, He asked the Swami to look at Him and, lo, Amrithananda saw the golden coloured Elephant, the Ganapathi as described in ancient texts! He was beside himself for about four days after this Darshan and forsook food and drink and sleep, in the Bliss which he derived therefrom. Reference: “Sathyam Shivam Sundaram”, Vol-I by Prof. N Kasturi. Published by Sri Sathya Sai Books and Publications Trust, Prasanthi Nilayam.